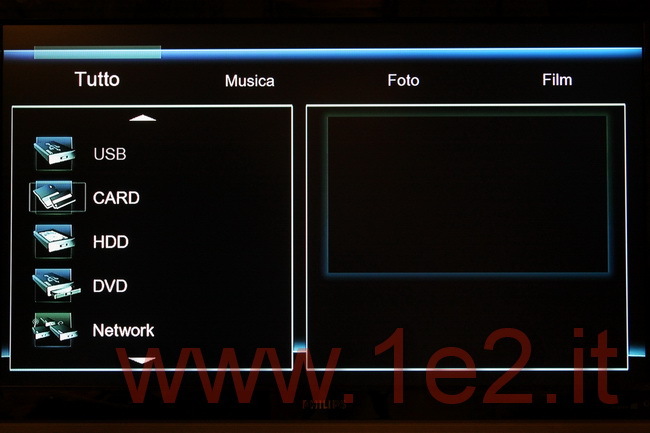 Playon!HD is the name of one of the latest networked media player born in A.C.Ryan, a company famous for its products about digital entertainment and for the production of excellent video cables and audio/video equipment. 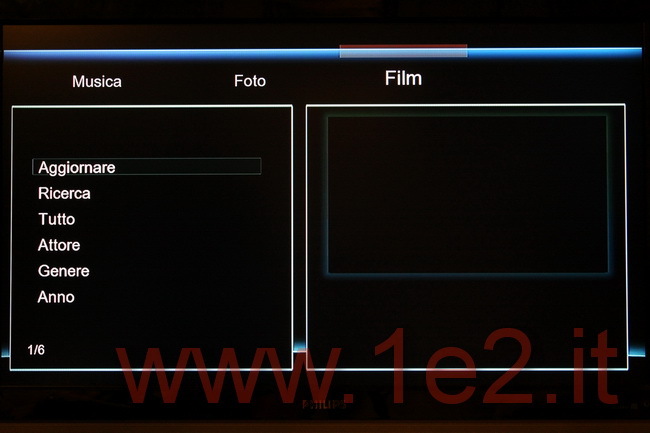 Let’s see in detail what this Playon!HD can do. 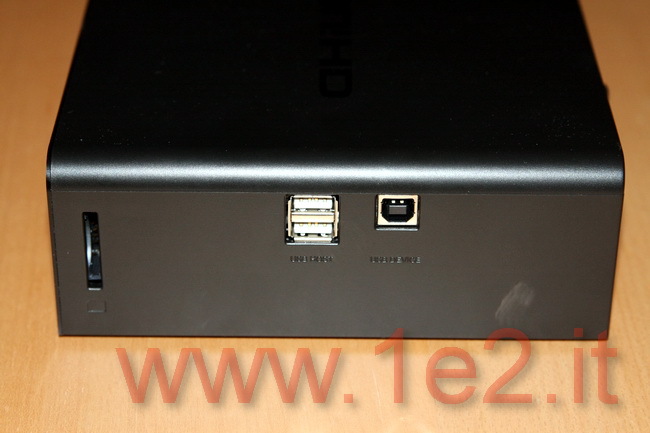 Looking at the box, you immediately notice a green sticker with “Green” as the hard disk that is sold together with the player is a “Eco” with low power consumption and low noise. It is indeed excellent Western Digital Caviar Green. 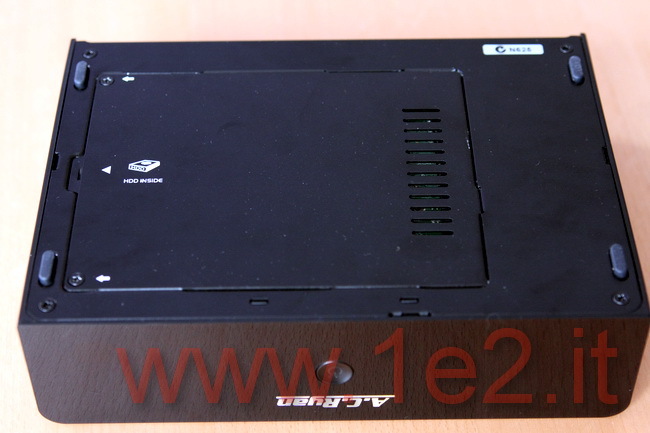 It is also compatible with SATA and SATA2 up to 2TB. 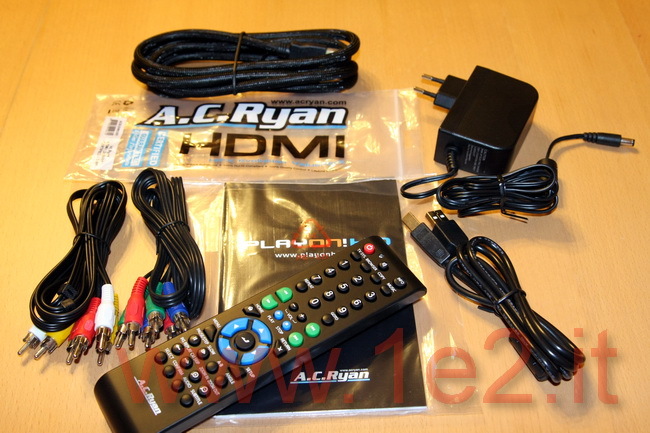 In addition to media player, there are a RCA cable, one component and one high quality HDMI 1.3 cable certified by ACRyan. There’re also a USB cable to connect the player directly to your computer and turn it into an external hard drive, a remote control with two AA batteries, a 12V power supply and a manual. The remote control has a handle quite handy, even if the two AA batteries make it a bit heavy. The buttons are soft rubber, they are not backlit and in the dark you could hardly find the right key. The Playon!HD is elegant and sober, with a glossy plastic front panel and the case in opaque plastic but well made for both the touch and sight. On the front panel, stands out in the center the power button lit. There is nothing on the front. It lacks a display. On the right side we have a memory card reader for SD, SDHC and MMC cards, two USB 2.0 ports and a USB port for direct connection to a computer. When we connect the Playon!HD to a computer, it enters in “Mass Storage” mode and is recognized as a standard external hard drive usb. 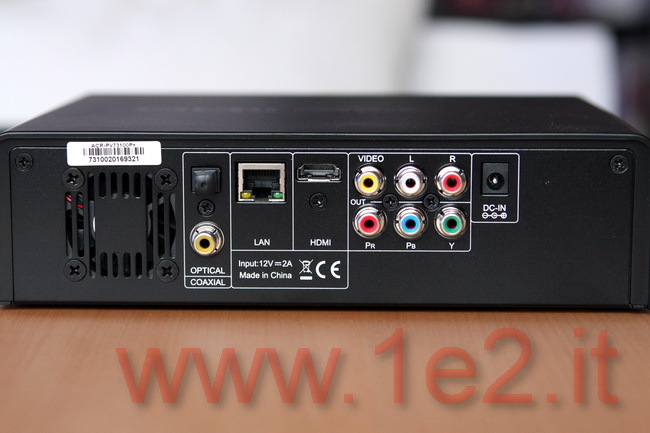 On the back panel there are a fan (3cm diameter) very quiet, both optical and coaxial digital audio jacks, a 10/100 Ethernet port, the HDMI 1.3, Component and Composite video outputs and the stereo audio output. Then the 12 Volt power input. On the bottom (in aluminum), we find the door for the hard disk. To remove it, unscrew two screws and, once removed, we can see the hard drive screwed to the door. There is not any system for vibration reduction, but the careful choice to use a Western Digital Caviar Green makes up for this lack. The replacement of the disc (if you have several hard drives around the house) is not a fast operation and simple. The rubber feet that support the Playon! HD are quite soft to reduce vibration transmission. Once opened and exposed the heart of the Playon!HD, you notice how small is the motherboard and that it is on an aluminum base, which then wraps around the inside of the player. Easily you can put hand on all internal components, including the fan if it fails and must be replaced. 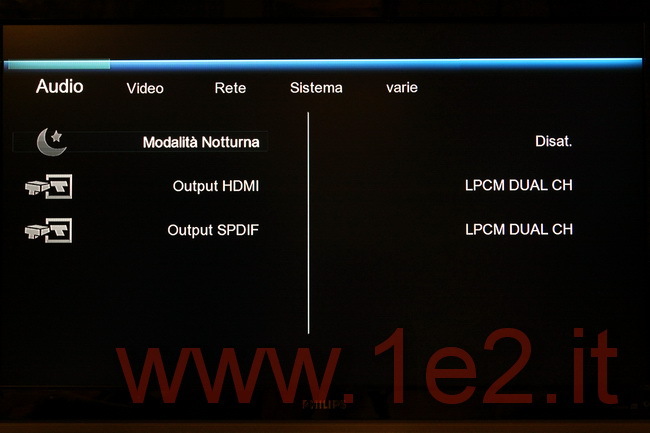 The processor is a Realtek 1073DD that the detailed information provided by the player shows to be the Realtek 1073C + which is equivalent to version 1073DD + which is compatible with Dolby TrueHD (as we can read on packaging) . The processor is 400MHz and there are 120MB of RAM. 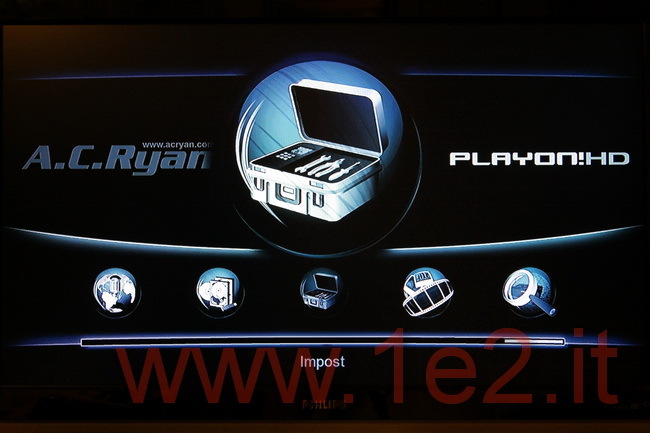 The A.C.Ryan Playon!HD has a menu with a nice graphics and well cared for. We well know that A.C.Ryan’s firmwares are very accurate from this point of view. So let’s see how it is structured the menu. At start we can select where to go thanks to large icons and clear writing. 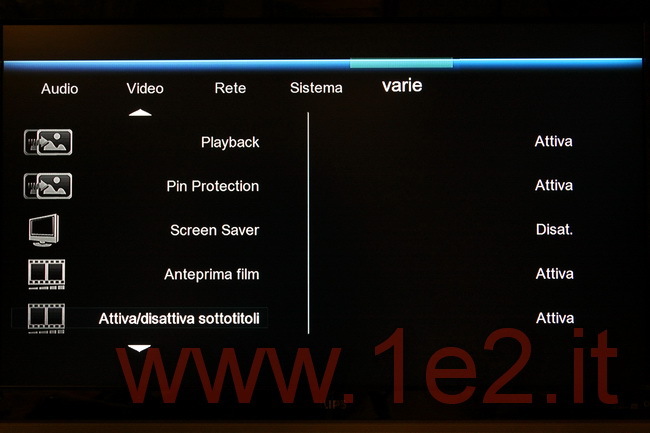 Entering the menu settings there are the settings on the audio outputs and video (with particular attention to the video resolution with an option to verify the actual viewable screen). Very useful is the function of monitoring children with opportunities to enter a password to protect files and folders that you don’t want to show everyone. This option is essential for families with children (not only), but there are very few players who have it. Browsing through the files on your hard disk or network, or LAN, or an external drive, we can scroll the list of videos and using the “Preview” function to display in a sidebar the beginning of the film. During browsing, you can apply a filter to files so that only videos, or just the music or just photos must be showed. When we applied the filter to only see the film, we can then apply an additional filter to sort by year, type, actor or do a search. 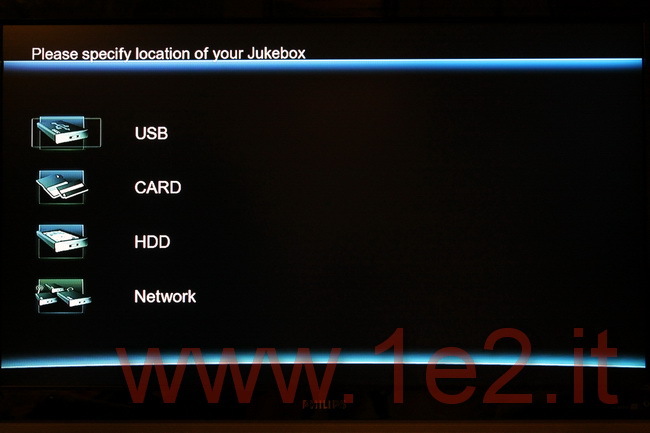 But that’s not all, the firmware for Playon!HD already incorporates the ability to display the posters of films and their description thanks to Movie Juke Box that with the free software YAMJ (Yet Another Movie Jukebox) you can catalog all your movies and present the library on TV in a professional manner. Click HERE to see pictures of what can be done with YAMJ. 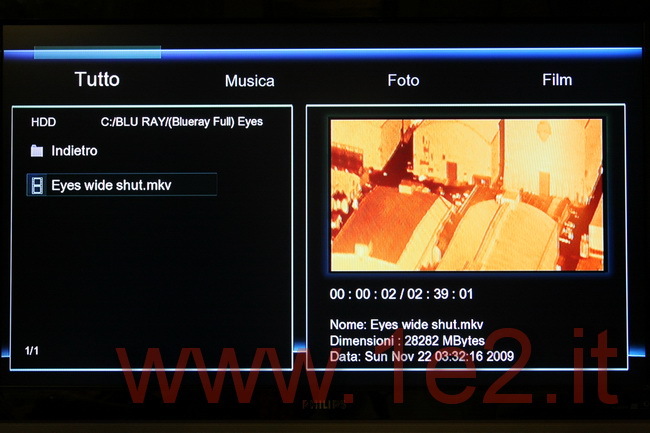 The videos are played smoothly, even the heaviest MKV up to 40Mbps or ISO of Blu-Ray. 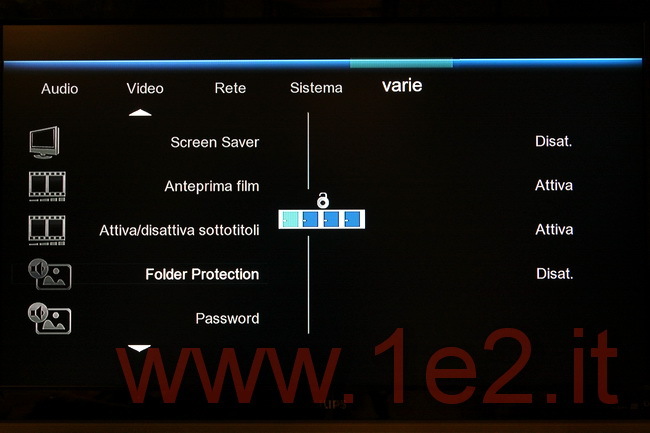 However, while for Blu-Ray you can not navigate through the menus, we can do it with ISO DVD or with DVD read from a external DVD optical drive connected via USB. For each video you can move back and forth, jump to the exact minute, or the exact chapter if one exists. 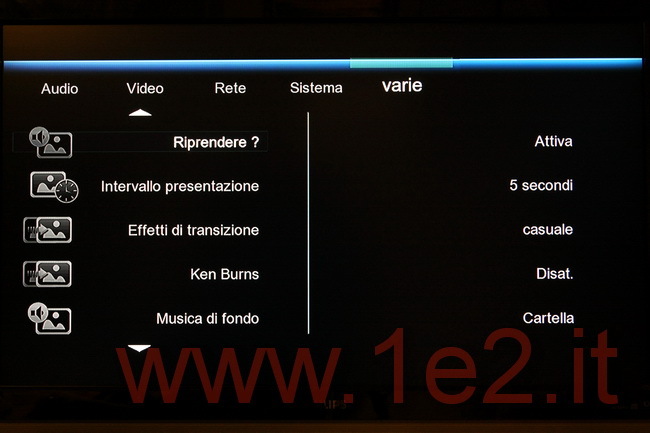 You can also select the audio and subtitles choosing the color, size, position and sync. 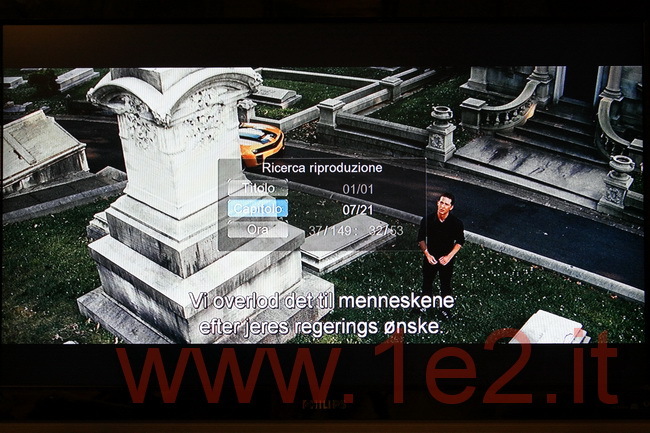 It reads correctly AVCD HD video, DVD ISO and IFO and VOB, ISO and Blu-ray M2TS, TS files, AVI, MKV, M4V, OGG, FLV. The audio player is rather simple, navigating in folders you can read tags embedded in audio files, including artist, title, album, comment and track number. There is a chance to see the photo of the cover art if it is inserted in your mp3 files. Or just put a jpg file with the cover in each folder and you’re done. FLAC audio files are compatible and up to 192kHz 24bit, mp3, M3A, wav, but not read files mpc. It allows viewing of photos as well as preview the file (only if you select the file), it also have several transition effects to create slideshows with background music. To load a 10 megapixel SLR JPG picture (file 8MB) it takes about 3 seconds. Thanks to the Ethernet port or WiFi adapter it can be connected to the network and the Internet. 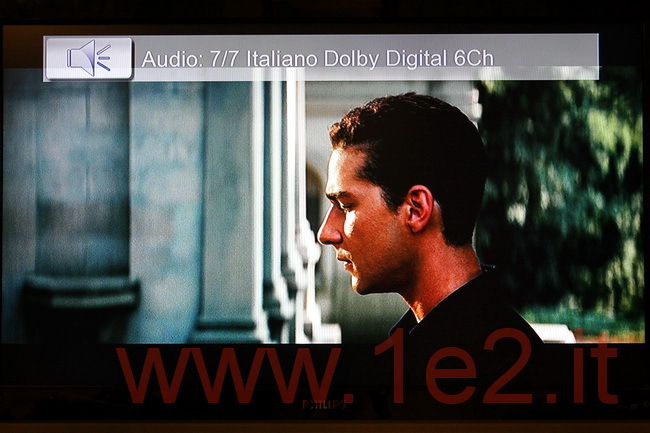 We may add Torrent download thanks to the built-in BitTorrent client controlled by the TV. No need to have a running computer to download the file, just use the Playon!HD. 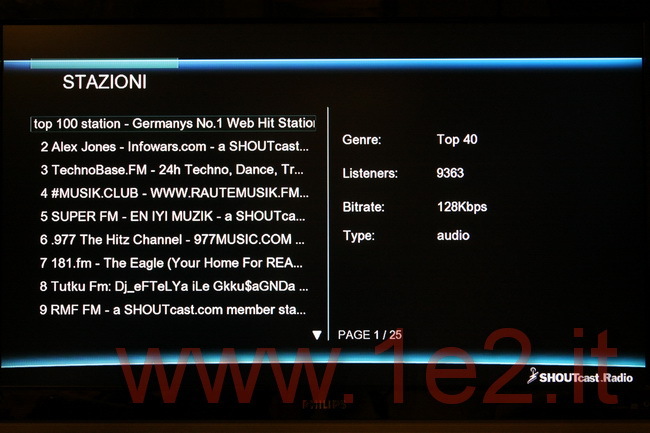 Then we can put different RSS feeds to keep update of the latest articles and news of our favorite sites and read directly from the TV. 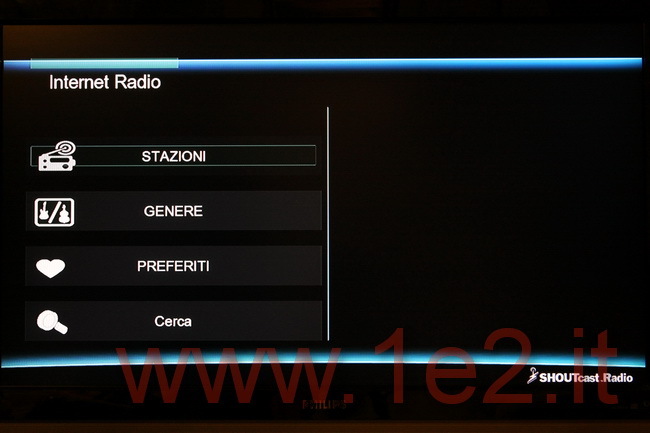 There is also the Internet Radio with a list of stations already iRadio download from the internet, but we can also add our favorite stations (if they are streamed). 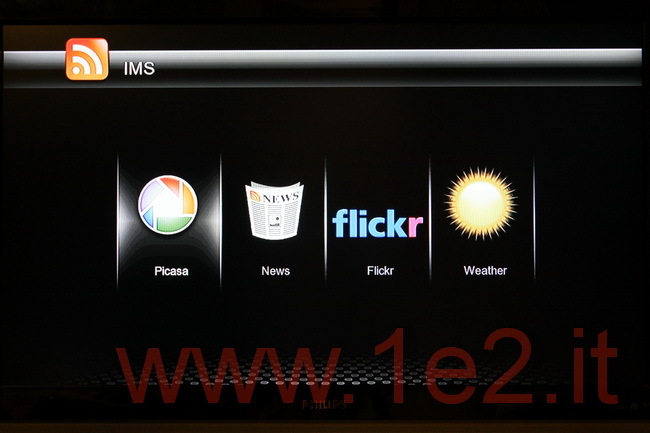 In addition, we have other Internet services that bring us into the world of Flickr, Picasa, the News and Weather. 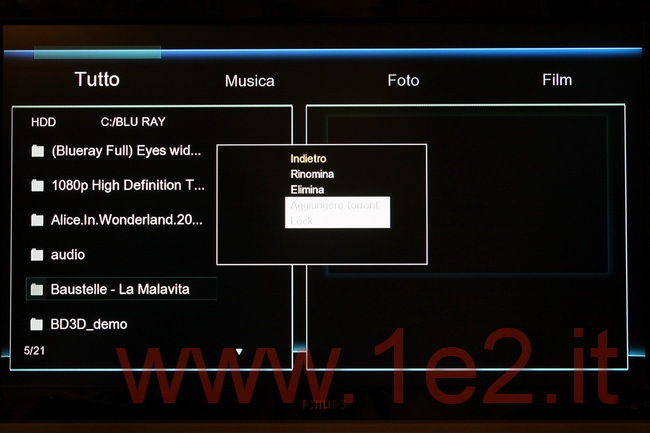 The firmware tested with the Playon!HD is the r4368 and there is still not a chance to see the videos directly from Youtube, but not long in coming. 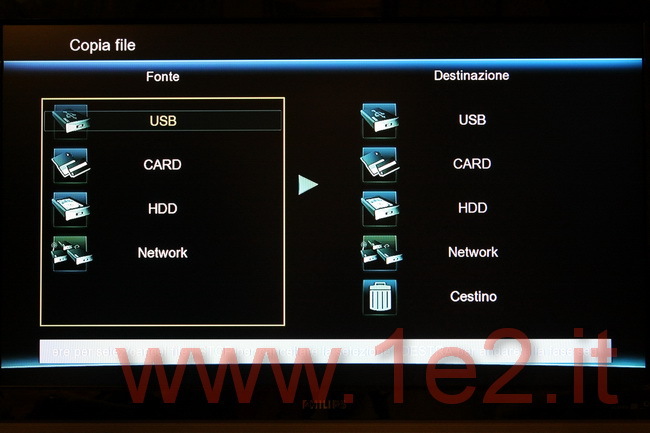 Finally we recall the possibility to share files on the hard disk of Playon!HD with LAN due to NAS mode that activates a Samba server, or you can even share files over the Internet thanks to an embedded FTP server. The Playon!HD consumes very little thanks to the hard drive Western Digital Caviar Green that ACRyan adopted. 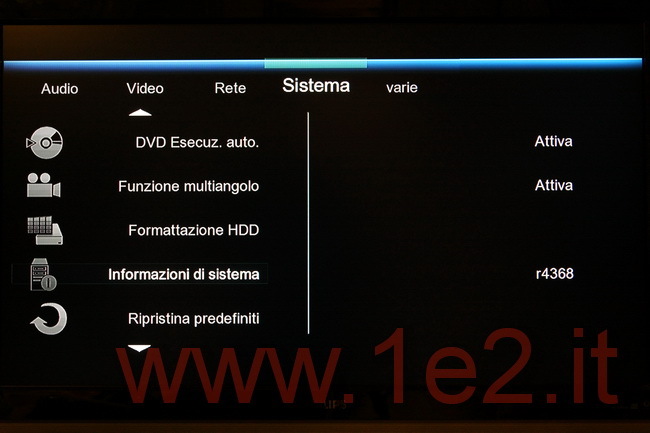 It ranges from 0.4 watts in standby, to 12.2 watts when idle and 13.4 watts when watching a video FullHD 1080p. To power on, the Playon!HD takes about 18 seconds. 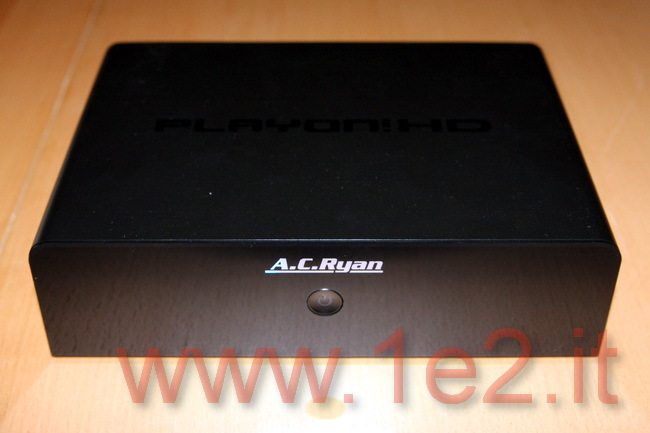 The A.C.Ryan Playon!HD is a good media player, beautiful and elegant but with some negative point including the lack of a front display, bit heavy remote control and the lack of a rack mount for hard disk. 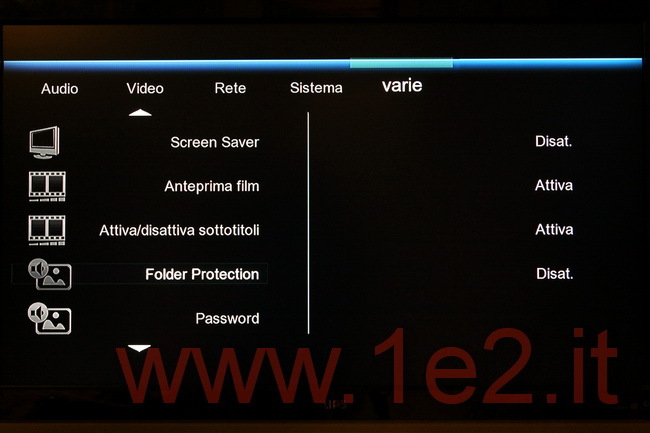 But if we look at the firmware and the work behind it, then discover a world undoubtedly active not only by developers but also users who are active directly on the ACRyan official forum where they propose ideas, changes, or where you can even find firmware modified by them. 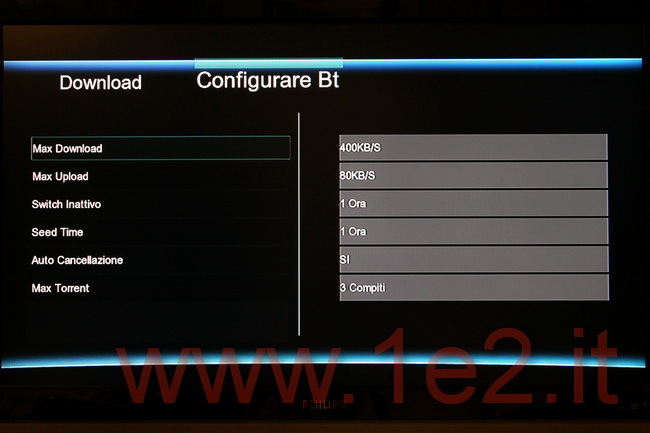 In fact in this forum you can download beta firmware available by ACRyan. This kind of customer focus is one of the most important factors that determines not only the success but also the development of a product and its future successors. In this forum there is also a multilingual section. But you can also freely discuss in our forum section on 1E2.it. Though still lacking a Youtube player, I give to Playon!HD the Best Buy award knowing that the development and the developer community amateur can only improve this great media player. 13 queries in 1.427 seconds.